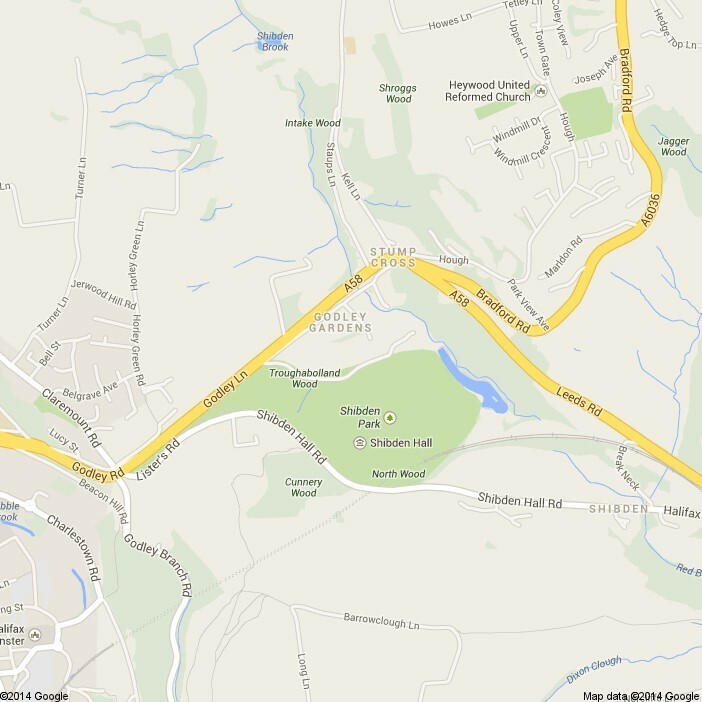 Follow through to Halifax Centre and follow signs for Leeds A58 and onto Burdock way follow signs for Shibden Park. ( Not Shibden Hall) Stay on A58 and follow road under bridge at the top of the hill, and downhill. ½ way down hill, just before pedestrian crossing and Garage is the turning- Right - onto Old Godley Lane, and Main Park Gates. Enter Park gates and follow drive down to the bottom car park. The Centre is on the right. Access at front of the building. Exit at Chain Bar Roundabout take A58 to Halifax. Stay on A58 through Hipperholme Traffic lights, and continue to next traffic lights at Stump cross, where the road bends to the left. Continue up the hill approx ½ way and taking extreme care it is possible to make the sharp left turn just after the pedestrian crossing. Enter main park gates, and follow the drive down to the bottom car park and the centre is on the right, with access at the front of the building. If you do not feel confident you can continue to the top of the hill, follow the road down towards Halifax. Take exit to town centre, but keep in right lane to go round the roundabout and back up the A58 back towards Leeds / Bradford. Back under Bridge at the top of the hill and take the right turn into Godley Lane and Park gates ½ way back down the hill, just before the pedestrian crossing.